Ahhhhhhhhhhhhhhh the old red lip, and Illamasqua combined. My favourite colour lippie. And my favouite OTT makeup brand. What could be a better mix? 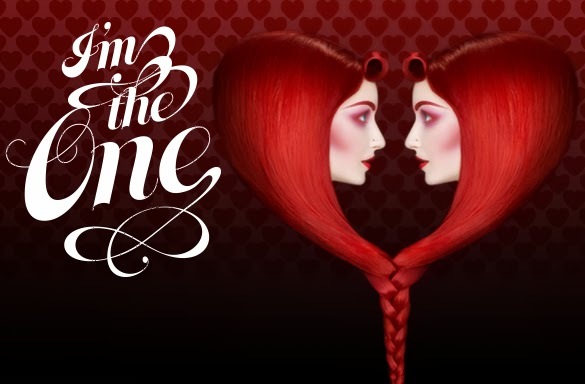 Illamasqua are celebrating Valentines' Day this year with a collection called I'm The One. It's a mini collection. A collection-ette, if you will. If you're as obsessed with red as I, you'll love it. 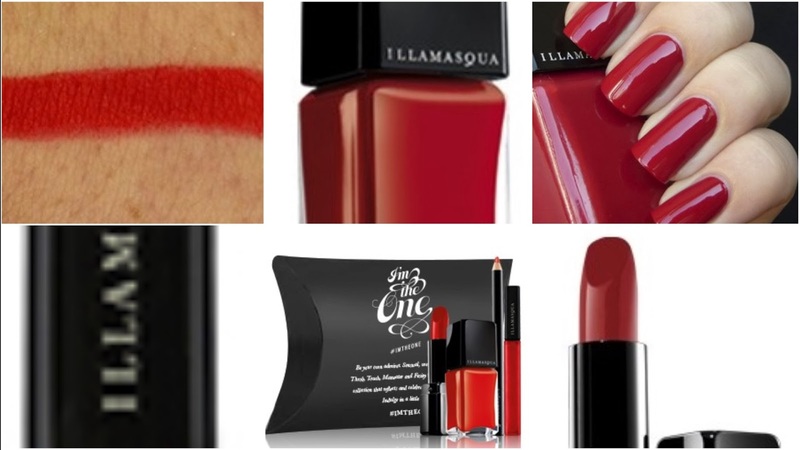 A new red lipgloss (Touch) and a new lipliner (Feisty) join the existing scarleh' nailpolish (Throb) and lippie (Maneater) and are available now from the Illamasqua site here. I also love that Illamasqua do "moving swatches" of their products, and show them on different skin tones. Fantastic idea! Cheapest is the liner (€14), the lipgloss and nailvarnish will set you back €14.50 and the lippie will cost ya €16.50. Or buy 'em all together in one go for €50 (a saving of €9.50). I have Maneater and Throb already. I do so love red. It's not just for Valentines' Day ya know. And I don't much care that they're seen as a bit too outré for my current day-time desk job, I still wear red lips "loud and proud"! It makes a statement. Even if that statement is only I didn't have time to style my hair and my trousers are the same as the once I wore yesterday but hey, look, look, up here, I've got red lips! !